In 1951 the First Congress of Polish Science was held in Warsaw from 29 June to 2 July. To commemorate this event, Poland issued a set of five stamps depicting a selection of illustrious scientific minds. 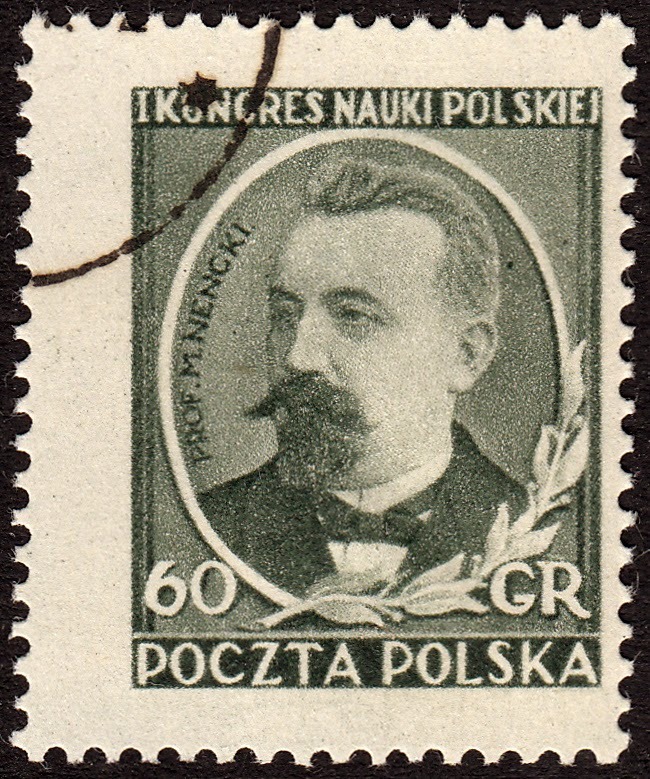 In this article we shall focus only on the stamps to which Czeslaw Slania contributed. 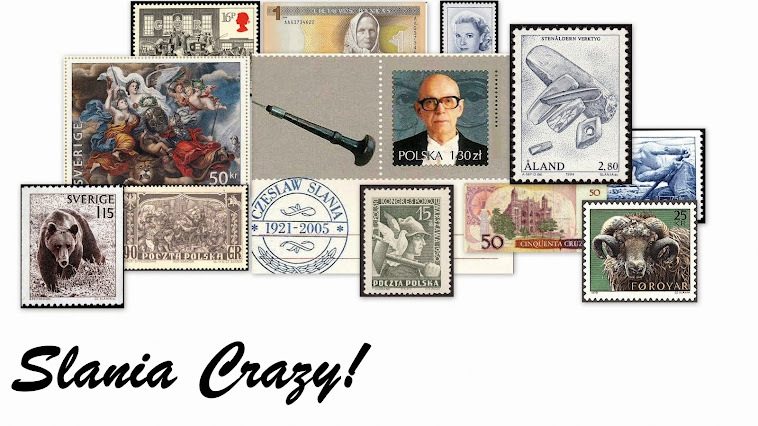 In 1951, Czeslaw Slania's stamp engraving career had only just begun. Up to this point he had only engraved two unique stamp designs for Poland. For this set he was given the task of working on two stamps. It was thought by me that Slania had actually engraved two stamps from this set, but as will be shown later this was perhaps not the case. 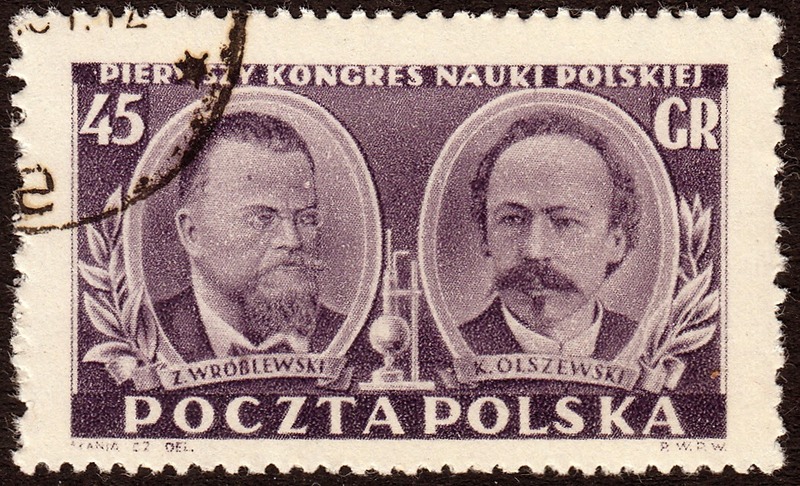 The 45 GR stamp bears the portraits of two preeminent scientists of the 19th Century: Z. Wroblewski (1845-1888) and K. Olszewski. Zygmunt Wroblewski studied at Kiev University between 1863-1869. From 1882 he taught at Krakow University. It was in Krakow that he joined forces with Physicist Karol Olszewski. Together, the two scientists worked to liquefy oxygen and nitrogen in 1883. Then they were able to investigate the critical temperatures of both elements. Wroblewski died in a fire in his laboratory in 1888. "On 5th June 2007, Mr. Lars Nyberg (Sweden) has given the following information about this stamp (translated from Swedish by the webmaster): In a conversation with Jerzy Krysiak [in Sweden] on 4th June 2007, I was told that Slania has done the design of this stamp together with someone else, but that he did not actually engrave it. The engraving was done by Brandt. Mr. Krysiak told further that he is in possession of a letter from Poland, franked with this stamp, and that Slania has signed the cover, so the stamp may be rightfully included in a Slania-collection." This is pretty compelling evidence. But since Slania signed a cover bearing the stamp, something I believe he refused to do unless he performed a key role n the development of the stamp, this stamp can definitely be added to my Slania collection. If nothing else, it'll make a cool conversation piece. 80th Anniversary Of the Paris Commune.